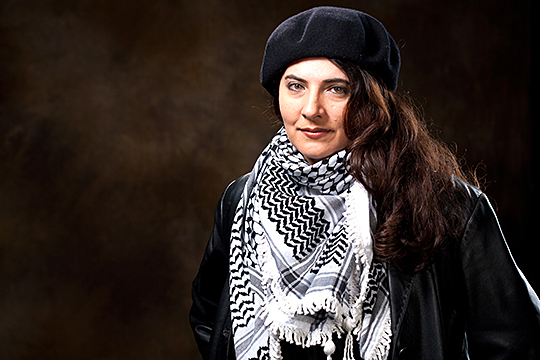 The University of Toledo College of Arts and Letters is bringing award-winning poet and activist Dr. Mohja Kahf to campus as the speaker for its 18th Annual Maryse and Ramzy Mikhail Memorial Lecture. She will speak at the free, public lecture Sunday, Nov. 4, at 3 p.m. in the Law Center McQuade Auditorium. Kahf is professor of comparative literature and Middle East studies at the University of Arkansas, where she has taught since 1995. For her work, Kahf has won numerous awards, including a Pushcart Prize for her essay, “The Caul of Inshallah.” In 2017, her novel, “The Girl in the Tangerine Scarf,” was chosen for the 2017 One Book Project by Indiana University East. The Mikhail Lecture Series is sponsored through the Mikhail Endowment Fund, originally established through a donation from the Mikhail family to honor the work and contributions of Maryse Mikhail and her involvement in educational, philanthropic and interfaith organizations. The fund supports an annual lecture dealing with Arab culture, history, politics, economics and other aspects of life in the Middle East, including issues of peace and justice. More information about the event is available on the Maryse and Ramzy Mikhail Memorial Lecture website. Those who wish to make a tax-deductible contribution to the fund can go to the UT Foundation website. This entry was posted on Tuesday, October 30th, 2018 at 3:58 am and is filed under Advancement, Arts and Letters, Events, News, UToday .